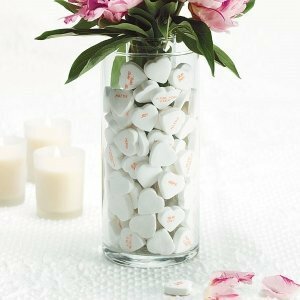 Conversation Hearts aren't just for Valentine's Day! 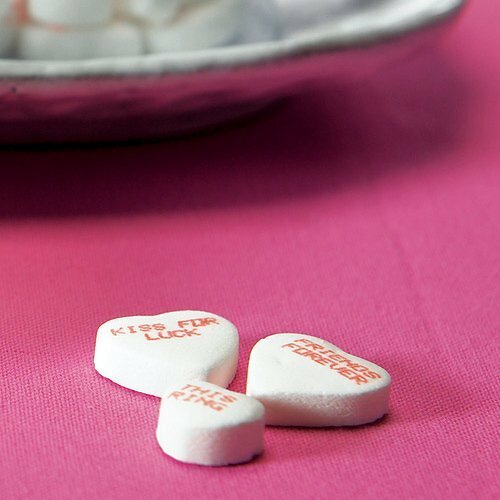 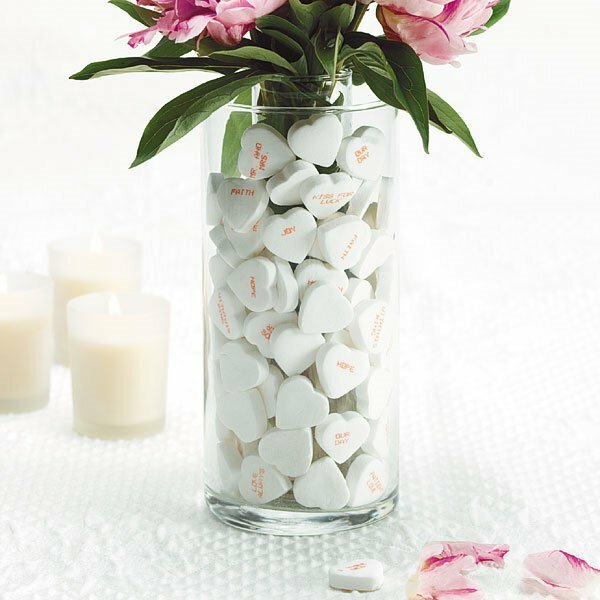 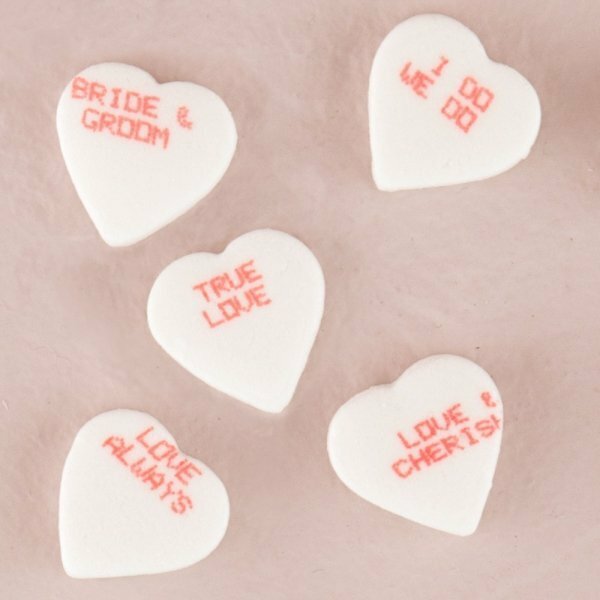 Our wintergreen flavored white hearts are a great wedding decorating tool and include wedding-themed sayings such as "Our Day", "Kiss for Luck" and "Mr. and Mrs." Choose either medium or large hearts, each size is packaged in a 16 oz bag. 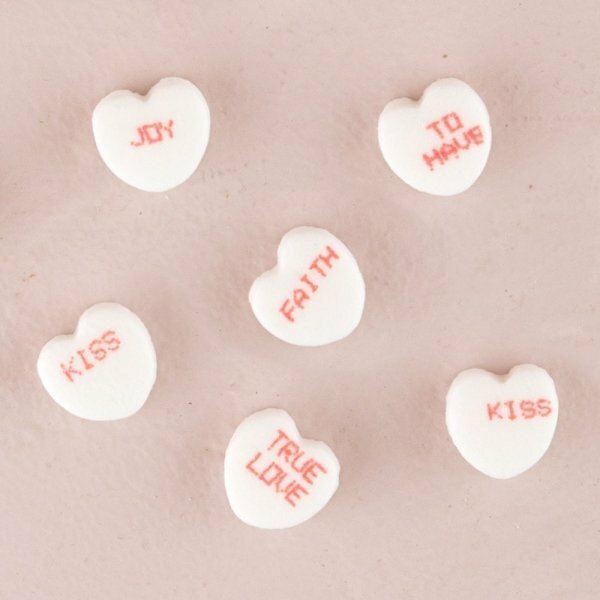 You will receive approximately 280 medium hearts or 150 large hearts per bag, minimum order quantity is 2 bags.